I just had my fit reworked two weeks ago, and I have been cautiously testing my legs against the stresses of cycling. Each ride has been incrementally longer than the last, but each has also ended with my knee feeling a bit sore or on the verge of flaring up. Last Sunday I logged 90km of light climbing, but my knee started to become sensitive at the halfway point. Things are improving, but I need time and patience to let my knee realign. 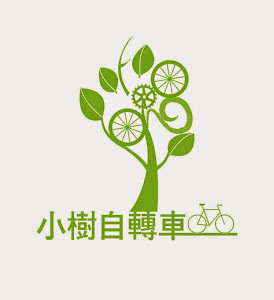 Therefore, I was a bit surprised with myself for accepting an invitation from Natan Miller, one of Taiwan's most prolific and dedicated cyclists. Nathan, an instructor at Asia Pacific University in Wufeng, has spent the semester riding and mapping out the bramble of farm roads in the hills above Wufeng. Taiwan's farm trails are often hastily laid tracks of asphalt with a minimal commitment of road engineering. They simply follow the landscape as the capillaries of a greater network to draw small crops of produce from the hills of family farms. The foothills of central Taiwan are a labyrinth of false starts dead ends that can lead a rider far from water, phone coverage or rescue if something goes horribly wrong. I was aware of this route, but I never felt I was in a position to take the risk. With Nathan's lead, I was curious enough to go. From the beginning I had planned to head home from the Hi Life on the Route 136. My other policy was to stop the ride as soon as my knee hurt. Honestly, I wasn't expecting to make it over the first climb before heading for home. The group was a collection of some of the most prolific riders of the greater Taichung area; a mob whose members have all gained some form of recognition or infamy on the bike. Nathan knew the way and he was ready to test out his disc equipped Culprit Croz Blade. Nathan is the most wonderful person to ride with. He is a hell of a nice guy. Crazy Lenny decided to show up on a Chris Boardman TT bike; the most unusual choice for a day of climbing and uneven pavement. Local hard man and Stravaneer, Rob King was on hand. Dom made an appearance rocking his steel Seven. Cameron Miller brought his Croz Blade out as well. Simon made a showing to teach the group how to climb a hill. Rounding out the group was Iron Mike (Brass Balled Mike); a man with grit, resolve and determination. Mike is just getting into cycling, but he always shows up for the Main Event ready to take his lumps, learn something and get that much better. The man is a fighter. Then there was myself, the weakest link in the group wracked by fitness robbing injuries and rehab assignments. A couple years ago I may have led the whole parade, but this time I was happy just to be within shouting distance of the lead. We pulled away from Nathan's 7-11 at late past eight. I was scared. I really didn't know what to expect from my body. I worried I would pull up lame in the middle of the jungle and have to hike out or delay everyone as they waited for me to gimp along to the top of the next hill. Nathan made it sound easy, so I believed him. We made cycling small talk and razzed each other through some early dips and rises. Moisture was being pulled from the forest and sticky to my skin like a suffocating layer of cellophane. We swung into the first serious climb. I felt comparatively good for the amount of training I have had over the past couple of months. With a blog post in mind, I convinced myself to take a few pictures as the rest of the gang disappeared around the bend. Bagua Shan mad a brief appearance in the distance across the Wu River and I was cautiously tickled that I had made it to the top. I was in awe of Lenny's bike prowess as he threw that TT bike skyward. Nathan promised a brak at the top, and I was more than ready to indulge. Like mana from the sky, we were more than happy to allow a few Lychee to fall from the trees and into our hands. A little boost of sugar to kick the body into gear. Before recovery could wash over the legs Nathan ushered us over the hill on a ripping descent on some serious grades. For me this was the point of no return. This is where I had foolishly committed to climbing out the other side on the Route 136. It was impossible for me to back track. It was impossible to even direct a rescue by car. The only way out was by bike. We hit a few washed out sections of road and I did my best cyclocross (psycho-cross) imitation to scramble out of the mud. The road clung to a rolling valley hemmed in on all sides by towering walls of chalky cliff sides, draped in the greenest color of plant life imaginable. The trees gave us some welcome cover from the unbearable burn of the summer sun throbbing down on us with every heartbeat. I was too slow to get what must have been a spectacular picture of our group blasting through the guts of a long narrow trench coated in green. We stopped for one final rest before the finale. Nathan mapped out our final climb, describing some sections as 40% grades. When we finally launched up the ramp, I decided to play it safe and I dismounted as soon as my rear tire lost its grip on the thin layer of moss, which coated large sections of roadway. A few times during the ride I felt fortunate enough to have made it that far without pain, I wasn't about to tempt fate. I was powering up hills far beyond by limits three days prior and I was ready to simply take my winnings to the bank. The initial straight climb finally gave us a switchback to chew on and I was able to put my weight back and make the climb. As I rounded the bend, Lenny was on the side of the road with a nasty puncture. Dom and Rob were with him, so after offering one more set of hands, I continued to the top. From the high point in the road, the seismic violence that created the Ninety-nine peaks shows itself through the jagged corners and angles poking through the carpet of jungle. I had never really thought there was a road through the area, but it was evident that I was resting right in the northern shoulder of this geologic monument. "Go slow... single file... so you don't take anyone out with you if you fall. It's really slick and rough in there. I mean it." He wasn't kidding. The forest primeval had us all spooked, like the cycling equivalent of a herd of antelope fearful of a lurking collarbone snap or femur break. This was for experienced riders only. You need to know how to balance, how to unclip, and how to fall. In a break in the trees I could look out over the tucked and folded earthscape at a few drifting clouds tinged with a hint of grey. Taiwan's summertime weather is as unpredictable as it is unstable. A rain squall can quickly vault the mountains and turn a difficult ride into a disaster. I rode down the remainder of the road and passed Lenny who was again hobbled by another flat. When we all met at the bottom of the hill, a far off rumble of thunder sent us all scanning the sky for rain. We hung out with the local dogs as Lenny fixed his damaged tire with a gel wrapper to help seal the wide-mouth rip in his sidewall. One by one we hopped the lip to the Route 136 and dug for speed toward the Hi Life, where badly needed refreshments were waiting. The original plan had been to continue on to Sun Moon Lake via the Nantou Route 147. I had always planned to head home, but I was quickly joined by a few more volunteers. Only Nathan, Cameron and Simon pointed their wheels further up the road. The rest of us beat it back toward Taichung. I was already happy with my results on the day, and therefore, I was not so keen on clinging to Lenny's wheel. Later on I wished I had stuck with the group as a wall of wind and water was looming in the immediate distance. I hoped to outrun it to Taichung, but the alternate route I was on veered back toward the rain. The system seemed to build up out of nowhere. A swirling black thunderhead brought its full weight down upon the area. The temple flags that had been steadily blowing one direction were blasted the opposite. Just as the first drops started to fall, I made it to the safety of a 7-11. In a sudden blast of swirling atmospheric violence, the storm moved through the area. And then it was gone. Over the course of a cup of coffee, the storm had blown out and I was on my way at a faster clip home. I didn't want to be drenched in another wave. For me, it was a magnificent day on the bike for the fact that I was again able to feel moments of myself shining through. It made me hungrier for more. I really have to thank Nathan for the invite and the persistence in prodding me to go. It was a truly memorable day with a fun group of guys. Excellent, thanks for all the kind words. Great pics. So glad I was able to show that route to everyone.